Real estate investment is one of the best ways to build wealth for you and your family. Getting started can feel overwhelming, but it doesn’t have to be. In our latest post, we’ll offer some great tips for new real estate investors in New York and the surrounding areas. Investing in New York real estate can be a profitable and exciting adventure. The process of scouting properties, making offers and closing deals can all be very exhilarating. For novice investors, it may impossible, however people get started with real estate investment every day. With proper planning, due diligence, and a realistic financial perspective, a novice investor can achieve great success with New York real estate investments. 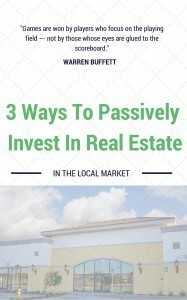 Below, you’ll find some great pointers for new real estate investors in New York. Before you begin looking at properties, it’s important that you set boundaries for yourself as far as the purchase. Determine how much you can spend, the neighborhoods you are open to buying in, how much you need to earn from rent or a resell, how much time you are working with, and how much you are willing to spend in renovation costs. Once you have these decisions made, stick to them. This will help you from getting in over your head with a property that needs a lot of work or that is out of your geographical boundary. Whenever you are purchasing an investment property, you should always pad your budget for the unforeseen repairs and expenses that will come up along the way. Buying investment real estate is a numbers game. Sure you might get a hunch about a particular property, but refining this sixth sense requires the knowledge only first-hand experience can provide. You will need to keep in mind that this property isn’t for you. It is either going to be a rental property that can achieve great profit with minimal effort or a property you purchase and quickly flip. Either way, it isn’t wise to buy an investment property simply because you like it. Run the numbers make sure things look good on paper before spending any money. Working with a partner has the ability to open doors you never thought possible. The trick is finding the right partner to complement your efforts. Choose someone who has the experience and skill you lack. For example, If they like dealing with people, you should like doing behind the scenes work and vice versa. The right partner will show you the ropes and help to provide you with the knowledge only experience can provide. Meeting other people with the same interests and goals will only help you to grow. You’ll be challenged to learn more and be provided with a safe space to pose your questions. Networking groups allow you to learn from each other and get help with the more complicated deals. You might even be able to learn about opportunities that others are passing on while bringing the deals you are passing on to the table too. Working with a professional buyer and seller such as Sell Now Realty Group can help you to learn the process while saving you the majority of the leg-work on your investment property purchase. You will be able to learn more about what really makes a good investment property and how the process works from offer to close. Working with a professional is always beneficial, especially on your first few real estate deals in New York.